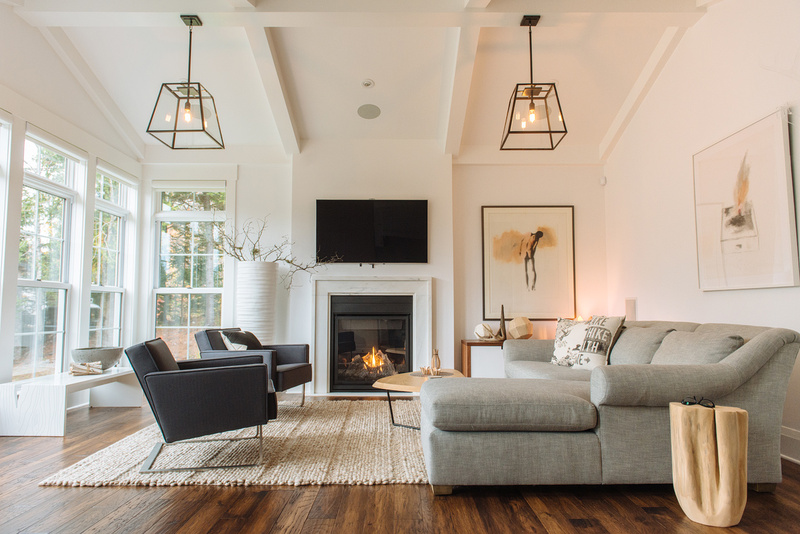 It’s not uncommon for homeowners to convert some part of their existing homes into rental space. These conversions usually result in a basement or upstairs apartment, or occasionally, loft space over the garage. 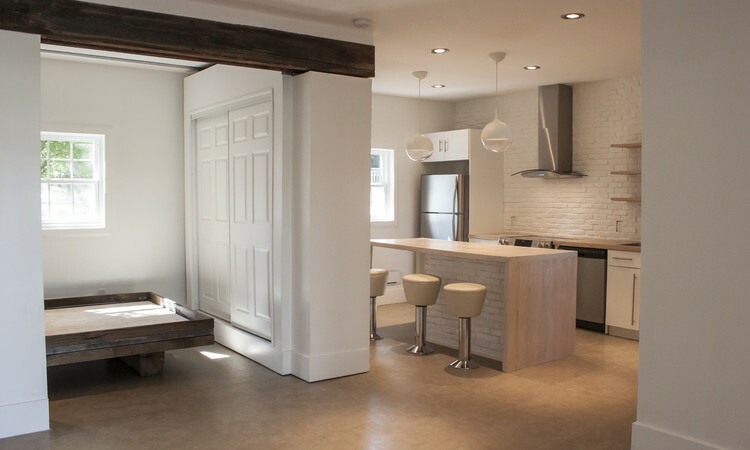 It’s not often, however, you come across a rental income renovation of a garage, which is what Véronique Morency just completed in Fredericton. Véronique, who owns her own interior design business, Trendy Interiors, gave herself a tight budget of $25,000 to transform her garage into a rental. At first blush, that amount might sound generous but keep in mind that figure had to include all new electrical and plumbing, flooring, some high-end kitchen materials, all appliances and finally, the construction of a custom-made Murphy bed. Last week, I met with Véronique in the now-complete rental space (renting for more than $1,000 a month), which measures a mere 500 square feet. One of Véronique’s first major challenges was the relative absence of natural light. To remedy the problem she knew she’d need an open concept. The Murphy bed and a rolling closet not only allowed her to maximize the available space, it made the most of the natural light. To brighten the space further, instead of using colours, she played with different textures: barn wood, bricks, shiny veneer, 3D HDF and leather. The materials aren’t only a visual triumph, they’re also a triumph of budgeting. Véronique sourced much of her materials, such as the barn board for the Murphy bed and beam, on Kijiji, which is also where she found her kitchen stools. Because she purchased the kitchen cupboards from IKEA she then had to custom build her counter to accommodate her appliances. For me, the most impressive elements of the completed space from the viewpoint of both function and aesthetics are the Murphy bed and rolling closet. Because she wanted to create a private space for the bedroom when it’s in use, she cleverly added a ceiling rail that not only allows the Murphy bed to be raised and therefore hidden, but also moves the closet across the floor, opening up the space to make room for company or simply when more space is desired. When I asked Véronique for her favourite part of her design project, she immediately smiled and said “The kitchen!” Before Véronique received her diploma of professional design and decorating from Ottawa’s QC Design School she studied and graduated with a diploma in food service management from LaSalle College in Montreal. Bonus* Here is a pic of the Loft before the renovation!